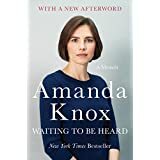 The tale of Amanda Knox is compelling, frightening and raw. The story received so much media attention that it’s probably not necessary to tell it here. But for those who did not follow the news or see the documentary, it is the story of a 20-year-old American studying abroad who was imprisoned in Italy for a murder she did not commit. The original sentence was 26 years, released after four years on an appeal that resulted in an acquittal. The latest release of this book includes a new afterword with an update since her return home as the nightmare did not end there. In Italy, unlike the U.S., the courts can try the accused for the same crime twice. Amanda endured one trial, two appellate court retrials and two Italian Supreme Court rulings over the course of seven and a half years. Amanda takes you through her horrific ordeal when authorities she naively trusted refused to listen to her cries of innocence. Police enforcement and the justice system took a stance of rectitude when in fact they targeted her as the culprit from the beginning and then fabricated evidence to back up their manufactured story, intentionally manipulating the media to feed the public their version of the crime. Her amazing courage during her prison term enabled her to grow stronger, develop friendships and expand her mind. She read incessantly and learned fluent Italian so she could defend herself during the trials conducted in Italian. Even the interpreters could not be trusted. She credits her close family and friends for her survival of the cataclysm of inquisitions and trials, embarrassing personal disclosures and the rigor of prison life. The title, “Waiting to be Heard,” is apropos. Throughout the book, Amanda repeats elements of her story, prompting you to feel her angst in wanting to be heard. You get the sense that she can’t purge enough the prolific lies told to her and about her. At the end, I felt happy for her that she could finally tell her story and admired the fact that she tried to produce something good out of her painful experience by working with the Innocence Project. Apparently, wrongful convictions are more common than I thought. At the age of nineteen, when Amanda discussed her plans to study at The University of Foreigners in Perugia, her father’s reservation was that she was too trusting for her own good. That was an omen of what was to come. She trusted the police, believing she was helping them solve the case when all the time they were working to sabotage her. Amanda described herself as a quirky kid who didn’t fit in well. “I was lumpy in my own skin. I was clumsy with words, and I knew I was way too blunt. I’d do things that would embarrass most teenagers and adults.” She explained the challenge of living abroad meant so much to her because she believed it would help her to become mature, grow stronger and gain self-confidence. Though the path she took was not chosen, and she came close to losing the life she’d known, it seems she did in fact accomplish those goals. Great review. What might have happened to her if Trump had been president? Her story is so touching… still gives me the shivers even now. Yes, me too. Sounds like it can happen to anyone.